Stuart Liddell, from Inveraray, started piping at the age of nine and was originally taught by his grandfather, the late Pipe Major Ronald McCallum M.B.E. He has also had tuition from Jim Henderson and Hugh McCallum. For seven years he was a member of the Scottish Power Pipe Band thereafter joining the Simon Fraser University Pipe Band from Vancouver, Canada with whom he played for eleven years. Stuart is one of the world’s most exciting pipers and is noted for his excellent solo performances and recordings at numerous Simon Fraser University Pipe Band concerts. 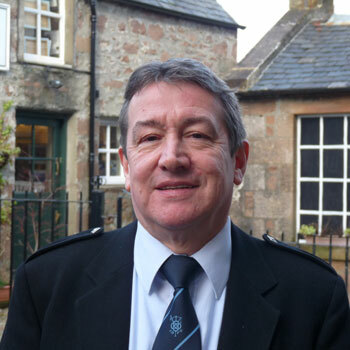 A piano tuner to trade, he is also piping instructor at Mid Argyll Primary and Lochgilphead High Schools. Winning the World Pipe Band Championships with SFU in 1999, 2001 and 2008. Forming the Inveraray & District Pipe Band in 2004, winning the Novice Juvenile World Pipe Band Championship in 2007 and Juvenile in 2008, winning the Grade 2 Scottish, British, European, World and Cowal Pipe Band Championships in 2009 and achieving 4th place at the Worlds and 2nd place in Grade 1 at Cowal Pipe Band Championships in 2011. Alasdair is from Dunoon, Argyll, but now resides in Glasgow. He started piping at the age of ten taking lessons from Pipe Major Jim Henderson. Since moving to Glasgow in 2006 to study music at the Royal Scottish Academy of Music and Drama, he has more recently received tuition from Willie McCallum. 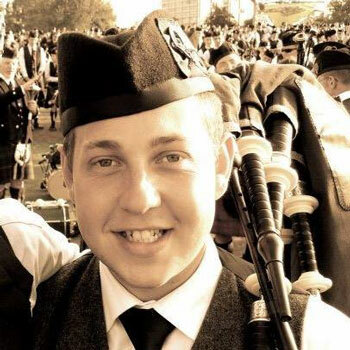 He joined the band in the autumn of 2009 having previously played with the Scottish Power Pipe Band. Outwith the band he competes regularly around the solo piping competition circuit. Recent successes include; 1st in the Silver Medal and 4th in the A grade March, Strathspey and Reel at the 2013 Northern Meeting, 2nd in the Silver Medal and 3rd in the A grade Marches at the 2013 Argyllshire Gathering and 1st in the Strachan Memorial A grade March, Strathspey and Reel at the 2013 SPSL competition in London. He is a piping instructor at George Heriot’s School in Edinburgh and is also the Pipe Major of their Novice Juvenile band. Leading Drummer Steven McWhirter is a native of Northern Ireland and now resides in Glasgow with his wife Grace and son Harry. 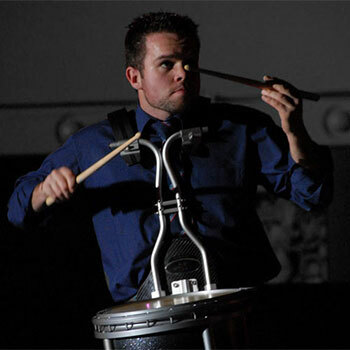 He has won the Adult World Solo Drumming Championships on 5 occasions, the most current in October 2014, and is a full time drumming instructor with the Edinburgh Academy & Dollar Academy Pipe Bands. Since he took over the leadership of the Inveraray and District Pipe Band their drum corps has steadily risen to become one of the top drum corps in the world. Highlights so far would have to be their 2nd place finish in drumming at the 2012 World Pipe Band Championships and Best Drum Corps at the 2013 Cowal Pipe Band Championships. Steven began drumming in 1993 at the age of 10, with initial lessons from his father, Dessie. Steven joined his local Cullybackey Pipe Band in 1994, receiving snare instruction from Adrian Hoy. During his time under Adrian’s instruction Steven won many Juvenile and Junior solo competitions including the Worlds Juvenile section one on two occasions. He remained under the direction of Adrian until Cullybackey won the Grade 2 World Drumming title in 2001. It was then, in 2002 that J. Reid Maxwell approached him to join the Simon Fraser University Pipe Band in Vancouver, Canada. Between the years of 2002 – 2008 he travelled from his home in Northern Ireland to compete, teach and perform with the band in British Columbia, Canada. During his time in SFU Steven won the North American Pipe Band Championships (2002), World Pipe Band Championships (2008) and the World Pipe Band Drumming Championships (2004 & 2008). 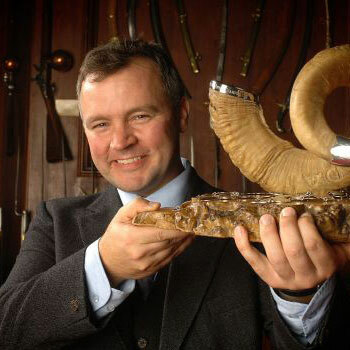 Born and bred in Cumnock in Ayrshire Jim moved to Inveraray in 1991 when he became the manager of the RBS there having previously worked in Kilmarnock, Glasgow and Oban. He and his wife Isabel have now lived in the town for 21 years. Jim doesn’t play pipes or drums (just a bit of guitar) and became involved with Inveraray Piping Project through his children, Laura and Graeme. Laura who was being taught pipes at school by Stuart was one of the first pipers in the Inveraray & District Pipe band and son Graeme, who was getting lessons at Oban Pipe Band at the time, was the first drummer (he was leading drummer when the band played in the Novice and Juvenile grades). When the decision was made to form the band in 2004, Jim offered to help with the administration and source grants for uniforms and equipment. From then on things snowballed and he “inherited” the job as Band Secretary/Manager and registered the band with the RSPBA in 2005. Isabel got involved too and she is the band’s quartermaster, making sure that both the Grade 1 and Juvenile bands are properly kitted out. Jim has been delighted to see the first band progressing through the grades and the original project continuing to do what it set out to do with the inception of the second (Juvenile) band in 2007. 2013 will be another busy year organising two competing bands as well as the Ascension concert but he is looking forward to the challenges and hopefully to another successful year.